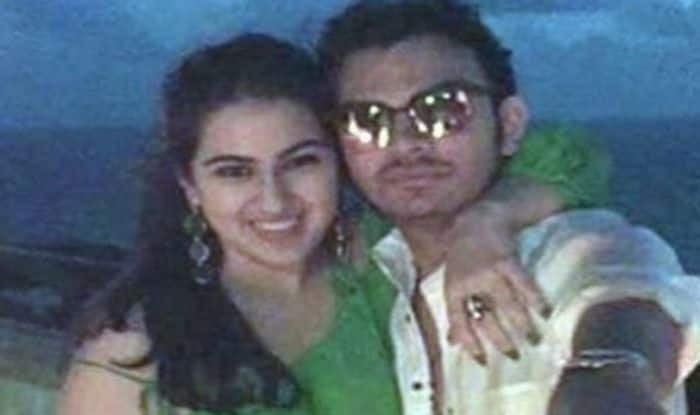 Sara Ali Khan made her big Bollywood debut with Kedarnath where she was seen opposite Sushant Singh Rajput. She was then seen in Simmba with Ranveer Singh which did wonders at the Box Office. Recently, speculations of her dating Sushant were doing the rounds and now the actor finally revealed about her relationship status. As reported by India Today, Sara opened up about her relationship status and said that the only boyfriend she had was Veer Pahariya. The young actor said, “He’s the only one I have dated. I have had no other boyfriends in my life.” Sara even went on to reveal that she has never gotten her heart broken by anyone. “My heart has not broken. It is all good, I promise,” she added. Well, seems like the actor has slammed all speculations of her dating Sushant which has been making headlines since a while now. Earlier, reports suggested that Sara is dating her Kedarnath co-star Sushant Singh Rajput. Reportedly the actor cut short her Dehradun trip so that she could be present for Sushant’s birthday. India Today quoted a source saying, “She dropped by his apartment at night with a cake, and they went on for dinner together after that. Sushant then dropped Sara home, and they snuck in some quality time together.” Sara has been very open about her crush Kartik Aaryan. She has mentioned about him in almost every interview of hers. Ranveer even played the cupid and introduced each other during an award show. On the professional front, Sara made her big Bollywood debut with Kedarnath where she was seen opposite Sushant Singh Rajput. It did pretty well at the Box Office but her second film Simmba with Ranveer Singh did extremely well at the Silver Screens and her performance has been tremendously appreciated. Sara has reportedly signed for David Dhawan’s remake of Coolie No 1 opposite Varun Dhawan post Kedarnath and Simmba success.